The principal author of the extraordinary bestsellers First, Break All the Rules and Now, Discover Your Strengths offers a dramatically new way to understand the art of success. 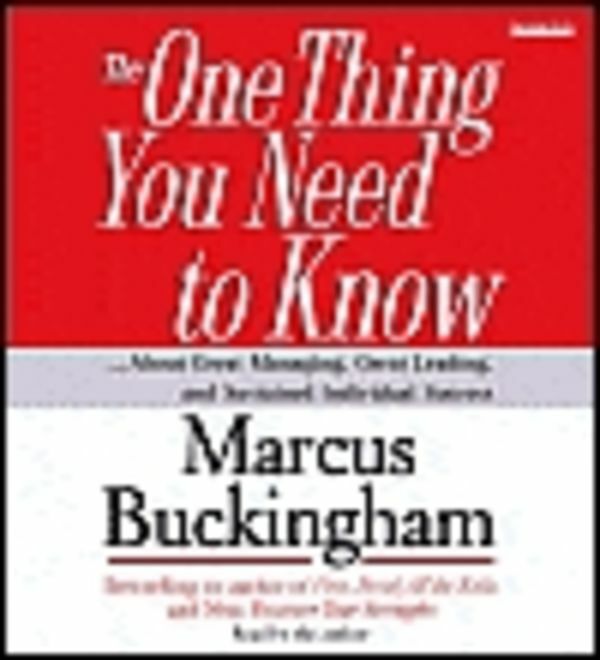 Great managing, great leading, and career success - Buckingham draws on a wealth of examples to reveal the single controlling insight that lies at the heart of each. Lose sight of this "one thing" and even your best efforts will be diminished or compromised. Success comes to those who remain mindful of the core insight, understand all of its ramifications, and orient their decisions around it. 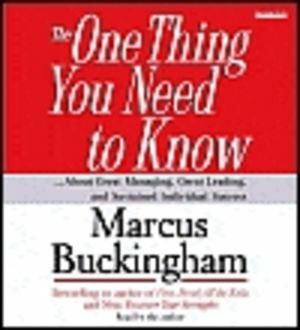 Buckingham backs his arguments with authoritative research from a wide variety of sources, including his own data and in-depth interviews with individuals at every level of an organization, from CEOs to hotel maids and stockboys.